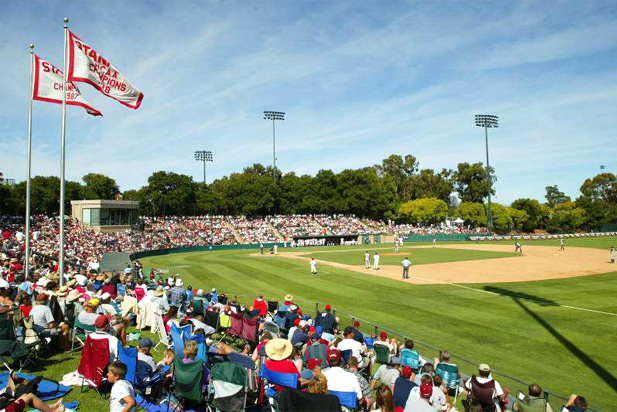 The Stanford University Baseball Program will be holding several youth baseball camps this Fall / Winter (Oct 2018 thru Feb 2019). Stanford Baseball is opening its facilities once again for our Winter/Fall Night Clinics. We are holding night clinics at Sunken Diamond throughout the week which will be run by Stanford coaches Jack Marder, Tommy Nicholson and Sky Valenzuela, along with members from the current Stanford baseball team. This would be a great opportunity for young players to be taught the proper techniques and skills of the Stanford program by players they can look up to, and by the coaches from their favorite local team. This camp is baseball intensive. On average, you will get about 125-150 swings a night. Come ready to go to work! We will have bats and helmets, although many players bring their own bat and helmet. We have seen remarkable improvement in the past by campers because of the fact we get to work with someone over an extended period of time. This camp is very popular and has filled to capacity very quickly. Do not delay in signing up as we mentioned above NCAA rules state we must accept campers on a first come first serve basis. We wear ATHLETIC SHOES ONLY! No cleats inside our hitting facility. Extra Hacks clinic is a great way for players of all ages to develop their individual skills to become and elite hitter. Players will be split up by age group and skill level to best accommodate what each individual player needs to improve to reach their fullest potential! The techniques being taught will be the hitting philosophy of what we teach to our Stanford Baseball Players. Each session will be about two hours in length. Usually there will be 8-9 hitting stations, approximately 10-12 minutes per station. The Future Cardinal Academy is a great way to teach our young players the correct fundamentals of the game, while advancing their individual skills to put them on the right track to reaching their fullest potential. Each clinic will include throwing and proper arm care instruction, hitting instruction and mechanical breakdown, defensive instruction, and conclude each night with a simulated indoor game. We will conduct each activity in a fun and instructive manner to allow our players to get the most out of each night to better their game! We should see remarkable improvement from our campers because of the fact we get to work with someone over an extended period of time. This is NOT a Sunnyvale Little League sponsored event. We are sharing this information for players who are looking for supplemental training.